Star Ratings USA has been helping thousands of businesses nationwide improve their customer service and build stellar reputations for over 25 years. With our latest service offerings, your high customer satisfaction ratings and reviews will be published online to serve as a 3rd-party endorsements, encouraging potential clients to trust and commit to your business. 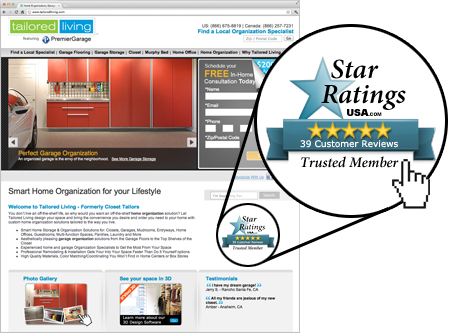 How we are doing from our customers' perspective is important to us, and Star Ratings USA is a consistent way to say "thank you" and receive customer feedback. That's why we've been using their services for nearly 20 years. Our experienced marketers will consult with you at no charge to help you make the most of our services in your business. 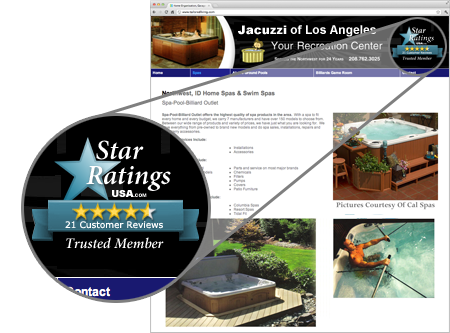 Engage your customers in new ways online and in person to begin building your client base with Star Ratings USA!